Cost Reduction and Efficiency Increase Measures of Coal-Based Power Enterprises under New Circumstances WANG Yong-cheng;ZHANG Hong-fei;DENG Li-kun;CHI Li-jun;Datang International Fuzhou Power Generation Co.
Research of Gas Mixture Detection Technology in Electrical Apparatus ZHU Feng;MA Feng-xiang;SU Zhen-xi;QI Jiong;CHENG Wei;LIU Wei;CHEN Ying;XU Xiao-xiao;Key Laboratory for Sulfur Hexafluoride Gas Analysis and Purification of state Grid Anhui Electric Power Co. Structural Optimization and Spacing Arrangement of Cable Manhole in High-Voltage Cable Pipe Project CHEN Xi-ming;ZHANG Xiao-ping;ZHOU He;State Grid Anhui Electric Engineering Supervision Co. Analysis and Control of the DC Magnetic Bias Influence on Anhui Power Grid in ± 800kV Jinbei-Nanjing UHVDC Project QIU Xin-jie;WANG Liu-fang;DING Guo-cheng;CHEN Qing-tao;TIAN Yu;WU Xing-wang;State Grid Electric Power Research Institute of Anhui Electric Power Co.
Study of Real-Time Power Flow Control and AGC Coordinated Strategy for Anhui-Shanghai UHV Transmission LI Duan-chao;XU Rui;WU Ji-ping;TANG Wei;TENG Xian-liang;ZHANG Xiao-bai;MA Jin-hui;State Grid Anhui Electric Power Co.
Research on Application of Micro-positive Pressure and Environment Control Technology in GIS Equipment Installation LIU Jun;XIAO Yao;WANG Zhen-hai;State Grid Anhui Electric Power Co. 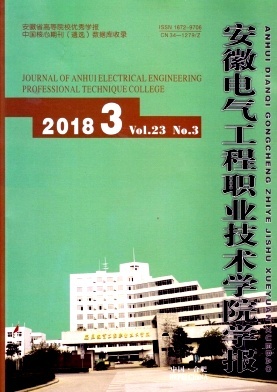 Analysis and Treatment of a 500kV Line Protection Optical Fiber Channel Abnormity CHENG Sheng;LI Xing;XU Peng;XU Qiang;Maintenance Company of State Grid Anhui Electric Power Co.
Overheating Protection Device of the Denitrification System Electric Heater GUO Meng;Dangtu Power Generation Co.
Brief Analysis of Protection and Commissioning for 100% Capacity Pump Turbine FAN Ming-jun;WANG Qiang;Anhui Xinli Electric Technology Consulting Co. Analysis of Time-Space Propagation Characteristics of Forced Power Oscillation Based on Equivalent Electrical Distance CHEN Fan;HUANG Shao-xiong;DING Jin-jin;GUO Li;DENG Qian-qian;State Grid Anhui Electric Power Research Institute;Dispatching Control Center of Anhui Electric Power Co.